VW visited our company - Haosheng Motor Co.,Ltd. On March 27th, VW visited our company and discussed the car seat massage system project, and our company also made a warm hospitality. At 10 o'clock in the morning, customers arrived at our company. After seating in conference room, our salesman gave a brief company introduction. After listening carefully to the introduced PPT, the customer is also satisfied with the current situation of our company. After that, the customer went online and visited our production line and laboratory. The company's accompanying staff also gave a detailed introduction. 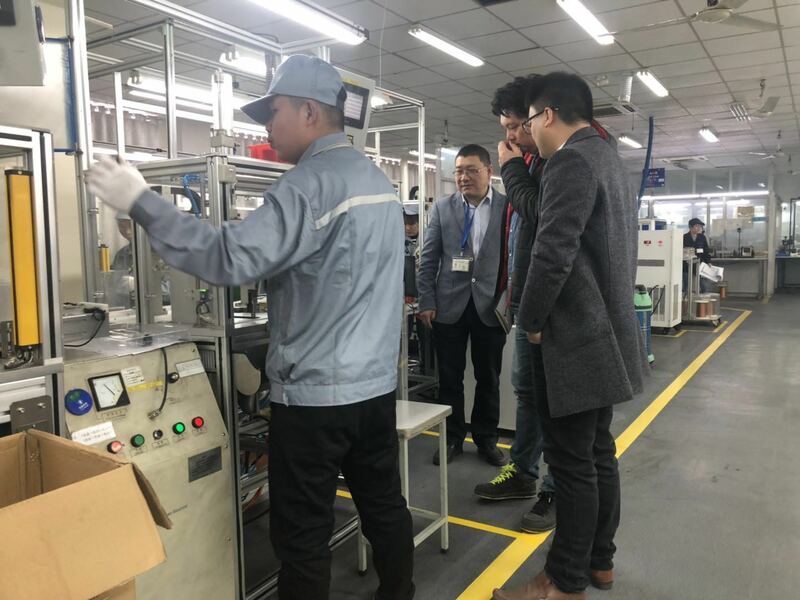 During the visit, the customer expressed recognition for our production capacity and quality assurance, and also put forward some valuable suggestions. Our company also welcomes these suggestions because it is because of these precious suggestions that our company can continue to grow and make progress. After enjoying lunch, the customer discussed the planned project with us in the conference room In the afternoon. Both parties hope to achieve this cooperation, and we will definitely try our best to cooperate with customers. At 3 o'clock in the afternoon, the client ended the visit.